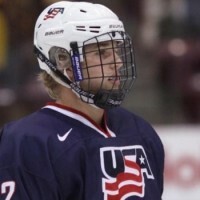 Kings GM Dean Lombardi used his third selection at the 2013 NHL Draft to pick up Hudson Fasching of the U.S. National Development Program. He’s a 6-foot-2 right wing who was born in Wisconsin, but grew up in Minnesota. He’s also committed to the University of Minnesota beginning this coming season. Following a play along the boards Thursday night, there were questions about a hit from Dustin Brown that knocked Jason Pominville out of the game between the Kings and Wild. With a 4-2 win in St. Louis on Thursday night, the Kings have scored nine goals in the first two games of the current road trip. Tonight they’ll be in Minnesota to take on the Wild for the first time this season. Three weeks ago, Ontario was hosting the expansion San Francisco Bulls and trailing by three goals with less than five minutes to play in regulation. They came back to tie the game and eventually won 5-4 in a shootout. 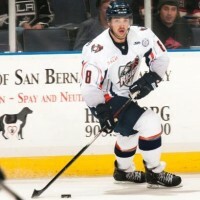 For the re-match on Wednesday night, the Reign brought reinforcements – namely, Minnesota Wild forward Devin Setoguchi. Can they make it stick? That’s one of the two big questions entering tonight’s Kings game in Minnesota.